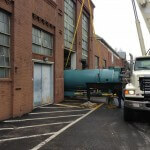 Heritage Industrial Services was recently hired to perform the rigging and removal of (2) Cleaver Brooks Boilers and their smokestacks at a facility in Central NJ. 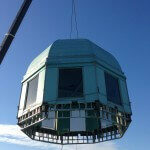 The boilers were removed utilizing hydraulic jacks, skates and a 15,000 lb. forklift. 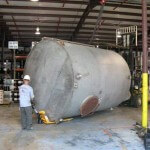 The boilers were picked with a 50T Hydraulic Crane and loaded onto awaiting trucks. The work was completed in one day as per the customers schedule.